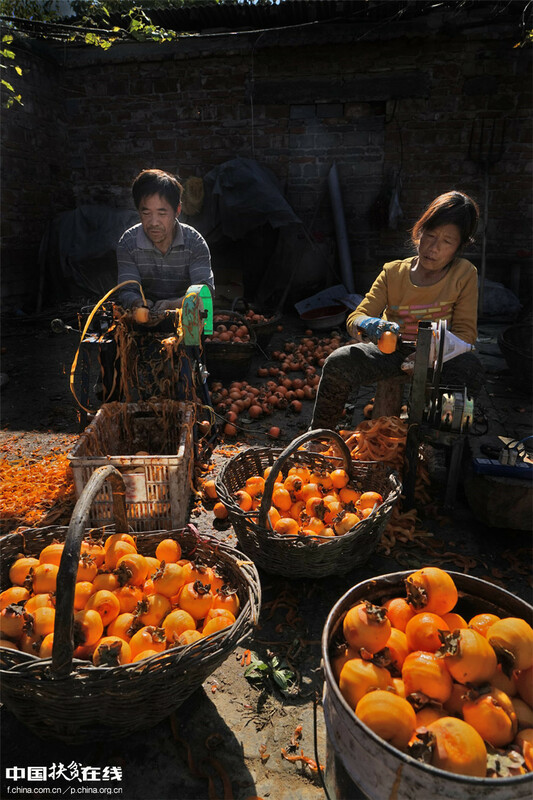 With the arrival of the golden autumn season, all families in Zhenggang Village find themselves busy picking and drying persimmons. Located in Cuimiao Town, Xingyang—a city of central China’s Henan Province—Zhenggang is known as the “home of persimmons” and has a history of planting dating back more than 2,000 years. Persimmons are rich in fructose and various vitamins. Their vinegar is not only a nice condiment but also a tasty and healthy drink. Dried persimmon, persimmon frost, and persimmon tea from Xingyang are even exported to Japan and Southeast Asia. 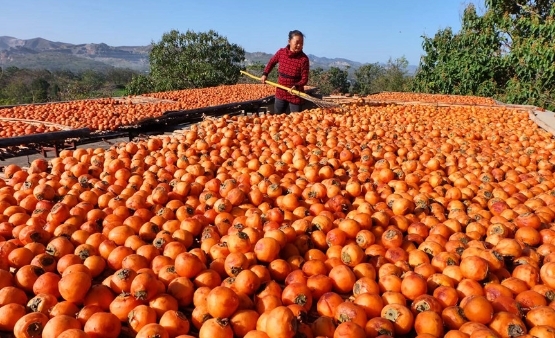 In 2016, Zhenggang harvested about 1 million kilograms of persimmons and about 150,000 kilos of dried persimmons, bringing an average annual income of more than 10,000 yuan (U.S. $1,502) to each villager.